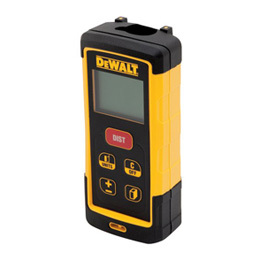 DEWALT is one of the top of the line companies which provides tools for construction and other manufacturing purposes. The DEWALT products for construction are one of the most used and are highly recommended all over the world. 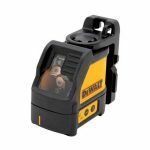 Starting way back from 1924, DEWALT has produced products which are really helpful for construction projects and one of the product is Laser Leveler. The product is used by the construction companies and the civil engineers and workers to level the surface by using straight laser beam. It has proved to be one of the most useful techniques to level things up. DEWALT has different products in this product line but here we shall be talking about the three best products i.e. DW087K, DW088K and DW089K. Keeping all the features in mind, you should ask yourself, what is your priority? What can you compromise? Are you compromising quality over money? Is the job critical enough to have it compromised? When you have the answers of these questions, you are in a better position to work on the options. This is what we call the competition between the friends. All the three laser levelers are from the same company and company has to decide what to change in the next version, in order to keep the sales of the previous one intact. This is one really hard job to do, but this is how the industrial world is booming and is coping with the problems. This very competition between the friends is very fascinating as each of them is of the same model but are different versions. 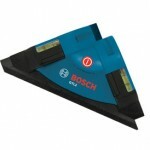 All the three models of these leveling laser beams are very much into the market and are used by different kinds of contractors, engineers, workers and household remodelers. You cannot say that one of them is better than the other because each has its own pros and cons for different people. As if you are a private guy, working to remodel your house and would not be working on complex projects, DW089K is not for you because it is complex and is expensive. 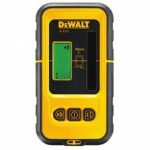 If you are a contractor and working on a huge site or building, you should not be using the DW087K because it’s not very accurate and would not help your cause much, you should be buying the DW089K for more improved results and accurate measurements. If you are a guy who is working on small projects and would work on different tasks like flooring, ceiling etc., you should be using the DW088K because it is good for these kinds of work. The final verdict would be “Do some research before you buy. Check your level of work, check your pocket, check your time and then spend on any of these. All three are top of the line and work really well for you”. I highly recommend these products to all whom they concern. Just Buy and Enjoy! Click here to purchase DW087K on Amazon! Click here to purchase DW088K on Amazon! Click here to purchase DW089K on Amazon!